Voix D’Eau and Art Mauresque, first and second in the race 12 months ago, renew rivalry on the back of encouraging runs behind Road To Respect in the Brown Advisory & Merriebelle Stable Plate at the Cheltenham Festival. Thomas Crapper, Starchitect, Henryville and Village Vic are also graduates from that Grade 3 event. 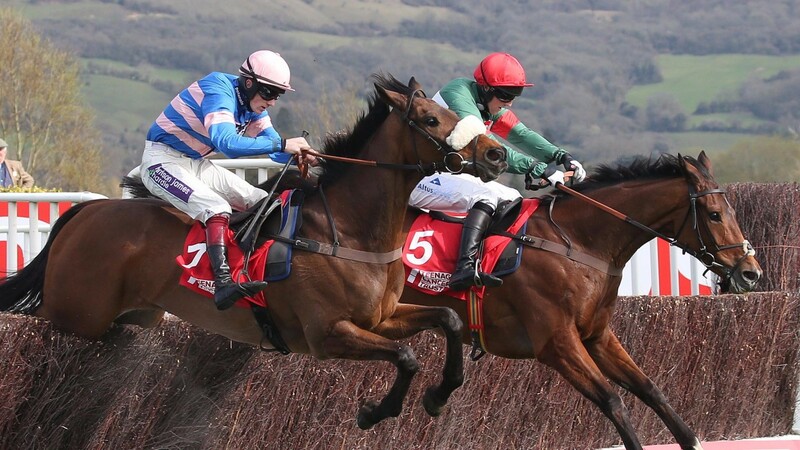 Topweight Village Vic, one of the most popular horses to have regularly stormed up the Cheltenham hill in recent years, will be bidding for his first win of the season following placed efforts at the track in November, December and January. He does seem in the handicapper’s grip, though, being 14lb higher than when last enjoying success on New Year’s Day last year. Six of the ten runners boast winning course form, namely Village Vic, Art Mauresque, Voix D’Eau, Foxtail Hill, Thomas Crapper and Un Beau Roman. Highly progressive Foxtail Hill beat subsequent Gold Cup fifth Saphir Du Rheu by a length over the course and distance in January. Sent off 6-1 favourite for the novice handicap chase at the festival, the eight-year-old was bowling along in front when he fell at the eighth fence. Plenty will be preferred to Casino Markets in the betting, but he will love the ground, shaped well on his return from a break at Newbury last month, has a nice low weight, and the Emma Lavelle stable could not be in better form. Don’t be surprised if he outruns his likely big odds. He ran well in the race last year and will love the ground. Voix D’Eau won it last year. He appreciates dry ground and seems in good form. His run at the festival last month will have blown away the cobwebs. Henryville ran well in the Topham and we’ve decided to let him take his chance on ground he enjoys. He's potentially well treated and one of these days he’ll get his head back in front. He’s in fabulous nick at home. The race at Newbury came too soon for him after his Warwick run. It’s a very competitive race but I hope he might nick a place. The ground and trip are ideal and he has winning form off a 2lb higher mark. He's run well at the Cheltenham and Aintree festivals this spring. The drop in trip won’t inconvenience him and he's come out of his last race in good form. He's very well in himself. His run at Cheltenham happened by accident, really, as I never imagined he’d get in. He performs on good ground and he likes the track. I was thrilled with his Newbury win – he was terrific that day. I’m looking forward to running him. We think he’ll like the ground and if he relaxes he should get the trip. He's run well at Cheltenham before. I worked him the other day and he went well.